*AdvaCare Oxymetazoline HCL Nasal Sprays are GMP certified. **AdvaCare Oxymetazoline HCL Nasal Sprays are manufactured in our facilities located in China, India and USA. 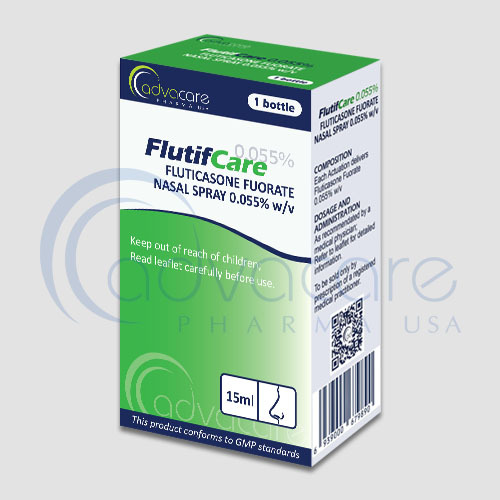 AdvaCare is a GMP manufacturer of Oxymetazoline HCL nasal sprays. 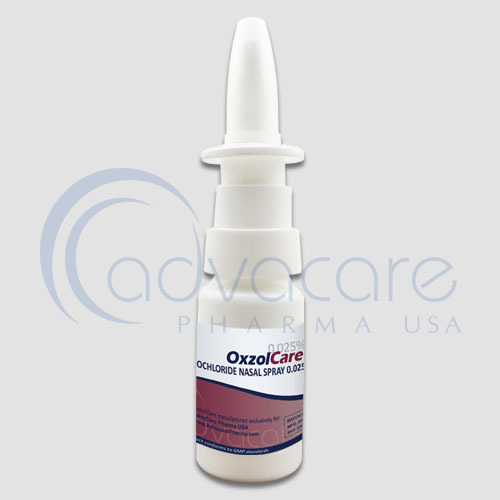 Oxymetazoline nasal spray is used to relieve nasal discomfort caused by colds, allergies, and hay fever. It is also used to relieve sinus congestion and pressure. Oxymetazoline is in a class of medications called nasal decongestants. As with all pharmaceutical medicine, some unwanted effects can occur from the use oxymetazoline HCL nasal spray. Always consult a physician for medical advice before use. Common side effects may include: burning, stinging, increased nasal discharge, dryness, sneezing, nervousness, nausea, dizziness, headache and insomnia. Always consult a medical doctor or patient care specialist before using oxymetazoline HCL nasal spray. 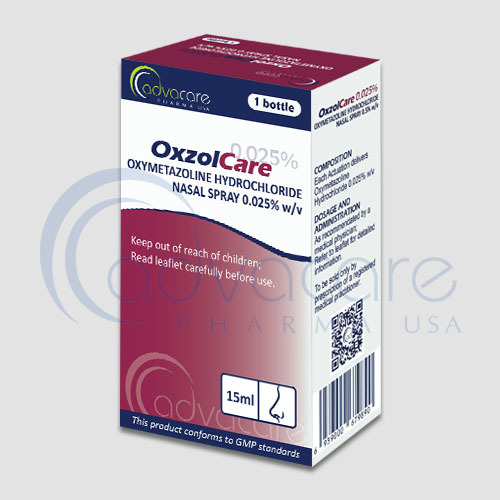 Oxymetazoline HCL nasal spray is used to relieve nasal discomfort caused by colds, allergies, and hay fever. It is also used to relieve sinus congestion and pressure. Oxymetazoline nasal spray should not be used to treat children younger than 6 years of age unless it is recommended by a doctor. Children 6 to 12 years of age should use oxymetazoline nasal spray carefully and under adult supervision. It works by narrowing the blood vessels in the nasal passages. Consult with your doctor if you are pregnant, plan to become pregnant, or are breastfeeding. If you got pregnant while using oxymetazoline, call your doctor. Refer to your doctor or pharmacist for guidelines on dosage. The recommended dose to treat allergic reactions of the nose is 1-2 spray in each nostril twice daily. It is usually used every 10 to 12 hours as needed, but not more often than twice in a 24-hour period. Do not use oxymetazoline nasal spray for longer than 3 days. 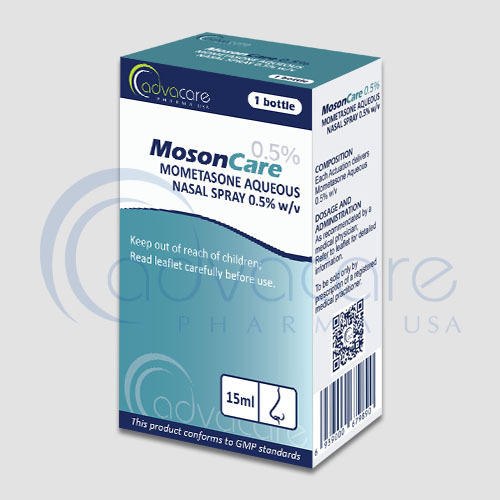 Consult with your doctor about medications you are taking or existing medical conditions you have before your treatment with oxymetazoline HCL nasal spray. It may interact with isocarboxazid phenelzine selegiline and tranylcypromine.